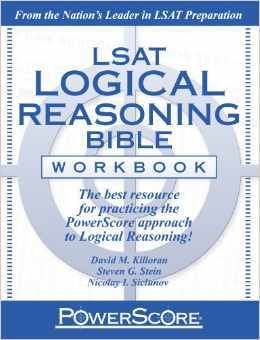 LSAT logical reasoning “method of reasoning” questions (also sometimes called “method of argument” questions) are one of the more minor question types on the LSAT LR section. You’ll never see more than two in a given LR section, and sometimes there aren’t any. However, each one you encounter is still worth the same amount of points as other questions, so they deserve some respect. That said, I think most good LSAT takers view these as easy points, and you should too. They are also a good one to aim to solve quickly, in order to pick up time that can be used elsewhere. Let’s take a look at how to take these down. You know in that Indiana Jones movie how that guy is twirling his swords all over the place, and then Indy just shoots him? I really think that’s how you should handle these questions. They might have some awkward language, but really they aren’t tough, and should be shot so you can move on to the big guys (the ones you have to take out with the plane propeller or whatever). Method of reasoning questions ask you to identify the role that a certain statement is playing within the larger argument, or sometimes, ask you to describe how the entire argument works in abstract terms. One correct answer will accurately describe the reasoning and the rest will not. Now what the hell do I mean by, “abstract terms”? It’s not the diagramming stuff you might use elsewhere on the LR section, which is a different form of abstraction. Rather, here we are just trying to describe the rhetorical structure of the argument or part of an argument. Is is it evidence in support of the speaker’s hypothesis? Is it a counterfactual? You need to figure out the role the argument plays. This is one of the LSAT where it might help to have some specialized vocabulary under your belt, though honestly it’s not really tough stuff. You likely know all of it already. You understand when something is “evidence” for something else, or when it “illustrates” a point, right? I thought so. If that swordsman died of pneumonia (A), then Indiana Jones didn’t kill him (B). Well, we now B isn’t true, right? Indy killed him in cold-blood (or self-defense). Therefore, A can’t be true either. That swordsman definitely didn’t die of pneumonia. If this seems tough to get your head around, don’t worry about it too much and rather just think of a counterfactual as “a conditional statement that goes against what we know to be the facts.” That will help you accept or reject an answer choice with this term almost all of the time. If you are rusty on conditional statements, check out our free lesson on conditional reasoning. The key on this type of question is to realize that there is absolutely no need to question or analyze the strength of the argument. It’s just not the task at hand. Instead, just take a step back and see which answer choices best describe the argument. That’s all you have to do. What I always try to do on these, just let the answer choices do the work. At least 3 of them are going to be way off base. By the time I’ve eliminated those, I’m usually in the right mind frame to see the correct answer, the one that accurately describes the argument or part of the argument. Also, don’t spend time straining your brain on answer choices that don’t make sense to you. The correct answer should definitely make some sense. If you read it and say, “Huh?”, then it’s best to move on right away and keep looking for a better answer. Ignore the spinning swords. Let’s take a quick look at an actual problem and see how it all works. Gamba: Muñoz claims that the Southwest Hopeville Neighbors Association overwhelmingly opposes the new water system, citing this as evidence of citywide opposition. The association did pass a resolution opposing the new water system, but only 25 of 350 members voted, with 10 in favor of the system. Furthermore, the 15 opposing votes represent far less than 1 percent of Hopeville’s population. One should not assume that so few votes represent the view of the majority of Hopeville’s residents. Of the following, which one most accurately describes Gamba’s strategy of argumentation? Okay, now remember that I don’t think about the argument much at all. Especially once I see that this is an MoR question, I just start reading the answer choices and start eliminating. Turn of your critical side. Who cares whether his argument is good if you don’t need to decide in order to solve the question? Answer choice (A) is a clear loser. At no point was it discussed who or who wasn’t likely to vote, so how can that be the strategy of argumentation? Easy strike out. Answer choice (B) is likewise a blaring wrong answer. There has been no talk of manipulation. Eliminate this quickly and don’t look back. Choice (C) is a typical “spinning swords” wrong answer. I don’t even want to think about what this means, because it will tie my brain into a pretzel. “The truth of the premises does not guarantee the truth of the conclusion?” Huh? Just move on, looking for something better. (D) is totally bogus looking too. More spinning swords. I wouldn’t really give this much thought until I’ve looked at the other answers. That’s how the intelligent test taker saves time. Don’t do unnecessary work. Intuitively, this might feel like a wrong answer because we aren’t talking about principles or “disconfirming” anything. That’s all you need at this point, the feeling that there is likely something better out there. That something is (E). (E) more or less perfectly describes what Gamba is doing. He’s just saying “this sample size is way to small to tell us much, so Munoz is wrong to claim it does.” (E) is the correct answer. See how we just rapidly cut through the BS answers? Easy stuff. Don’t be intimidated by a bunch of showy language. On these method of reasoning questions, the right answer will at least sound like it’s in the right ball park. If you can do this, and turn off your evaluating brain, you can do these problems REALLY fast. For more practice on this specific question type, assemble your LSAT preptests (follow this link to find every single one ever published) or get a book that has pulled just specific question types out for you, so you can do a bunch of one type at once. That book is the Powerscore Logical Reasoning Workbook. This book is a companion to the Logical Reasoning Bible that we recommend to tackle the LR section. Very good explanation despite a couple spelling errors. Also I’d greatly appreciate some help with understanding a MOR question. I know we can’t post questions on here but it’s from PrepTest 16 Section 3 Question 25. I don’t understand how C is the correct answer to this? Per the final practice question, I picked C because I understood the argument to be saying that the truth of the premise (that the association did vote against) does not guarantee the truth of the conclusion (evidence of citywide opposition). E was my other contender but ultimately I passed because of the word “dependable”. I didn’t understand the argument to be saying the results were not dependable. The author did agree to the truth of the results, just stated that the results didn’t support the conclusion made. Could you please advise and perhaps expand on why C is incorrect?